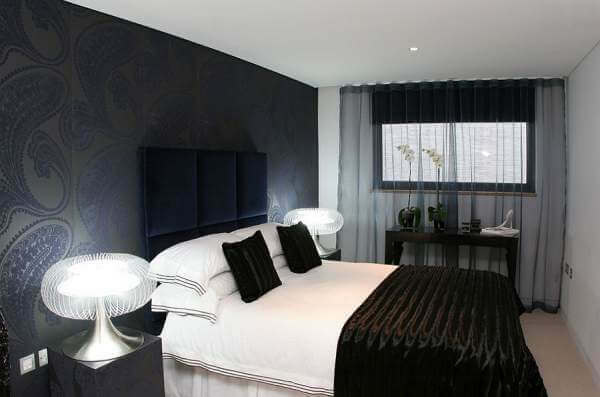 Beautiful Bedrooms: Back to Black! 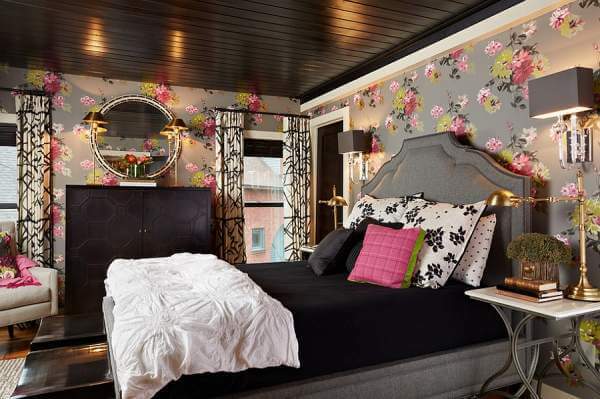 Black bedrooms are chic, flamboyant, dramatic, and bold yet stylish and cozy. Do you dare to decorate your bedroom in black? When it comes to bedroom color schemes, black is often overlooked as an option. However, after a period of using light, relaxing bedroom backdrops, the resurgence of gray as the hot new neutral has helped in pushing black to the backdrop. Enjoy some black bedrooms! They are chic, flamboyant, dramatic, and bold yet stylish and cozy! Plus, they have an inimitable visual flair. Do you dare to decorate your bedroom in black or this option is too bold for you? When it comes to decorating bachelor pads, black is an automatic choice, and bedrooms are not an exception. Have a look at the bedroom above! Glossy graphic circles in silver break the monotony of the dark backdrop. In addition, white bedding and pillows create the perfect visual contrast. Get creative and go beyond the walls! In the fascinating bedroom shown above, the ceiling complemented by a gorgeous cabinet and bedding is used to add this bold color. You have an array of options to introduce black and white. The key to creating an elegant space with an inimitable aura is to find the delicate balance between black and white. In addition, a well-planned blend of natural and artificial light will give the space a warm, inviting vibe. Use throw pillows, lampshades, headboards, bedside tables, window treatment, bedding, exquisite accessories, and flowers to add pops of yellow, red, or orange or hints of gold or other metallic accents to both infuse life into the setting and create focal points.